I'll never forget my first memory with Tiffany... We met in Argentina a couple years ago as Adventist Colleges Abroad students. The first morning at the school Tiff and I went to ask the lady in the cafe for soymilk but made the mistake of saying... "Soy leche" which means, "I am milk". We wondered why on earth the lady was looking at us so strange. Since then we've found out how to correctly ask in Spanish for soy milk and have become best of friends. Tiff is so full of life and I always seem to find myself laughing till I almost cry when I am with her. 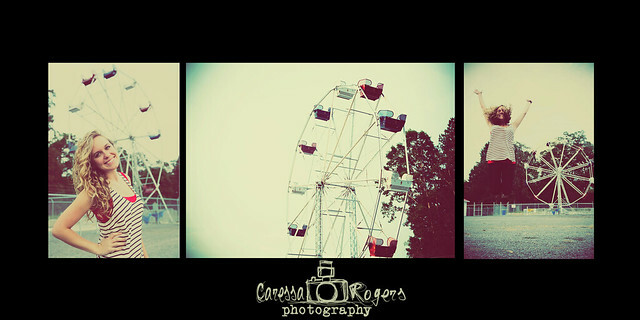 She told me she wanted something fun for her senior pictures... how much more fun could you get then a Ferris Wheel themed shoot.